Energy efficiency into the house! Smart Home is reality – but how does the smart home look like? How the Smart Home will be collaborating with its environment, especially with the Smart Grid? How can lighting, heating, air conditioning and security features be included? How can the user remotely get access e.g. via mobile phone? Program and registration form for download here. Will GoogleÂ´s Open Source Radio protocol on 6LoWPAN replace ZigBee and Z-Wave? I will talk in German at this event, because all the other speakers offer their presentations in German language as well. The answer of the a. m. questions, the result of the research and the result of the minutes of meeting I will make public in English language as usual. The slides will be written in English as well. 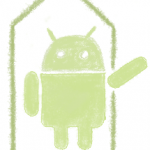 Will GoogleÂ´s Android Push Messaging API replace SMS? I hope to meet you in Munich. If you canÂ´t make it, then just contact me. I will be glad to share the slides and the summary of minutes of meeting with you. Emails and phone calls related to smart home, smart grid and metering are welcome. Just to let you know, that the articles at this blog posts are driven by my customers and my personal interests.